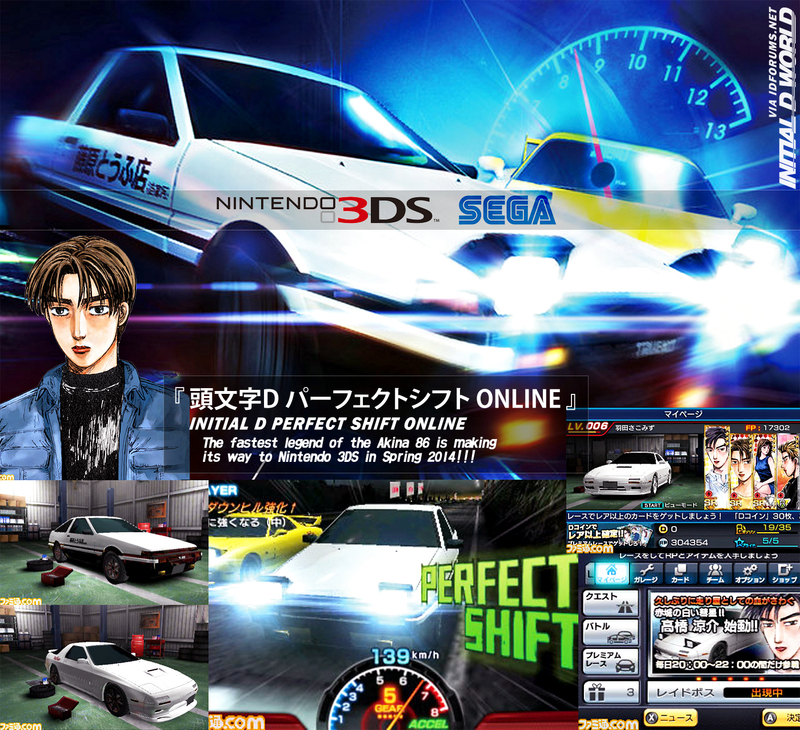 Good news for fans with a Nintendo 3DS, Sega is developing a game called 頭文字D パーフェクトシフト ONLINE "Initial D Perfect Shift Online" for the handheld game console. According to our source, the multi-player game will be free to download and players can pay for additional upgrades and items. So far it is confirmed that Takumi Fujiwara with his AE86 and Ryousuke Takahashi with his FC3S will be available for player to choose in the game. As far as maps are concerned, only Akina and Akagi are confirmed at the time. Initial D Perfect Shift Online will be released in Spring 2014. Stay tuned for more details. Please note that Nintendo 3DS is region-locked. This game will most likely only work with the Japanese version of the 3DS unless we get a localized edition of the game. Image size reduced, original size: 1400 x 1277. Click here to view the image in its original dimension. Oh god I hope this comes out in the states. If not.. I may be importing a jpn 3DS. I really really really really want this. I've been meaning to post something about this game since I've recently come across it on gaming news sites. From reports it seems like this game is doing really well, at least in terms of total downloads, as it's hit half a million. It makes me wonder if they'll release this game on the iPhone and Android.